Until 2017, would you have ranked TaylorMade among the shake-up of the world’s leading putter brands? 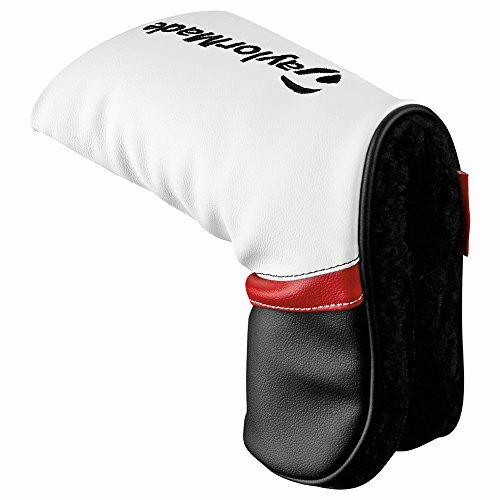 If you’re a die-hard TaylorMade fan, then perhaps. But for the rest of us, we’d have consigned their prowess to other things such as drivers and irons. 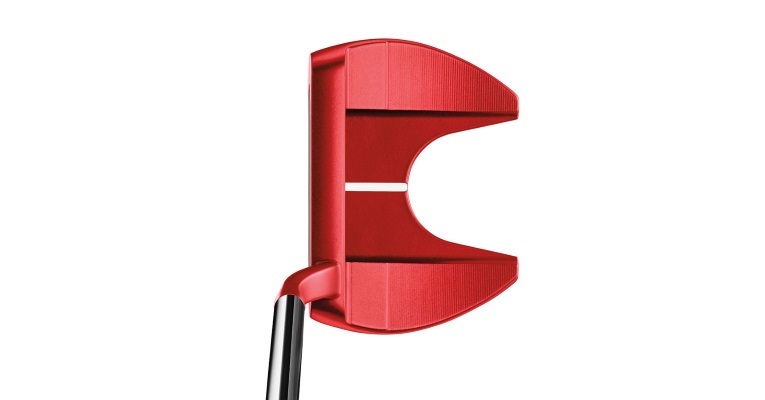 However, with Jason Day as the flagbearer, that all began to change with the Spider Tour Collection, and it appears that it initiated a craze for Tour Red putters. So much so that TaylorMade felt compelled to launch the TP Red Collection in the same year as the Spiders. We haven’t wasted any time setting ourselves upon this enticing six-strong range (plus another special edition version) because we simply had to know: are they actually as superb as they look in the pictures? 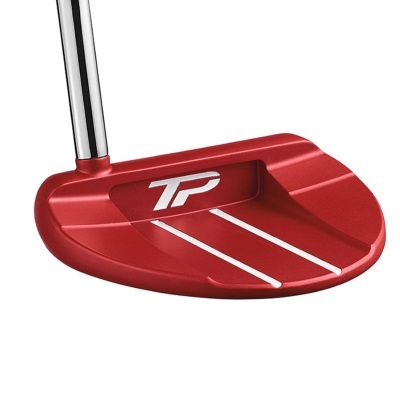 We reviewed the Taylormade TP Red Collection Putter as part of our Best Putters, read the review here. 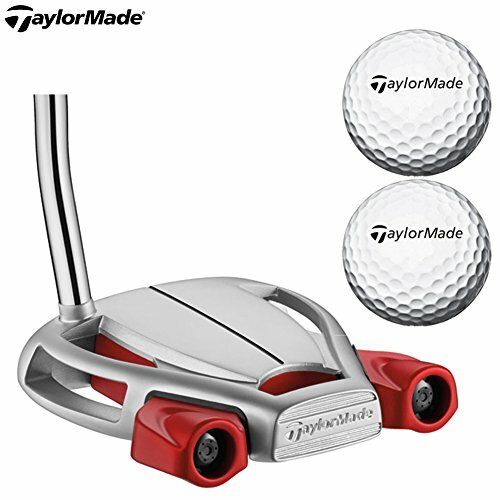 If you already own the Taylormade TP Red Collection Putter please leave your review in the customer review box at the end of this article. Looking purely at feel, along with consistency and quality of roll, you can’t help but be hugely impressed with this collection of putters. A lot of advanced technology has gone into enhancing this, not least the 6061 Aluminium Pure Roll insert, which has clearly had a huge impact on how the ball comes off the blade. Not all the designs were winners in our book, and some of the hosel variations seemed a bit convoluted. 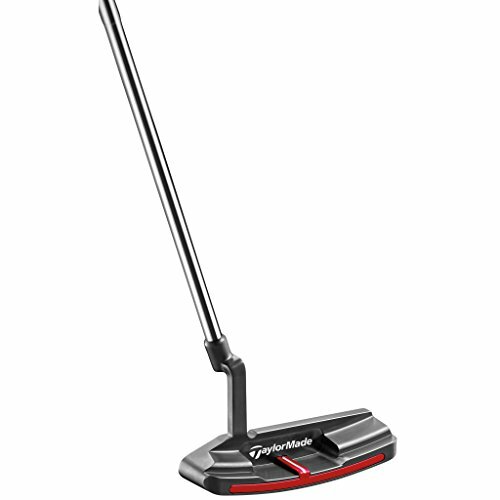 But the point of the matter is you have a wide-range of world-class putters to choose from, with sole weight adjustability allowing you to really hone in on the perfect setup for you. Sure, they aren’t the cheapest putters in the world. But they just about do enough to be considered a worthwhile investment. A range of 6 mallet style putters to choose from with a very unique look about all of them as TP Red siblings. Beautiful end over end roll that is actually addictive to watch and experience. A nice variety in sole, toe hang and also adjustable weight make this a solid offering. The range comprises six different putter types; namely, Ardmore, Ardmore CTR, Ardmore 2 “L” Neck, Ardmore 2 Double Bend, Ardmore 3 and Chaska. There is also a putter titled Ardmore Special Edition, although we weren’t able to source this. All the putters feature milled 304 stainless steel heads, and are best categorized as mid-mallets in terms of design. Each of the six also incorporate TaylorMade’s signature 6061 aluminium Pure Roll insert, which is in place to enhance roll off the face by virtue of combining 45-degree grooves with a soft polymer for a smooth acceleration off the clubface across all surfaces. 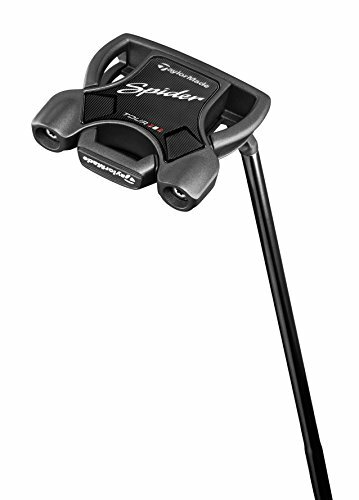 The putters also feature interchangeable sole weights, which allows you to adjust the overall weight of the putter head to best suit your stroke. The standard head weight of each putter is 355g, with a lie angle of 70° and loft of 3.5°. Lengths vary between 34 and 35 inches, and the Super Stroke Pistol GTR 1.0 is the grip of choice. Overall, you’ll be enthused by the roll you get off these putters. The aluminium insert makes a noticeable difference, but it doesn’t produce the “ping” sound you might expect. Instead, the feel is silky smooth, and when lining up the logo on the golf ball to the target, you really come to appreciate the trueness of the roll you get. These putters are also very forgiving – something we noticed in particular with the Ardmore 2 “L” Neck putter, which was probably our favorite. 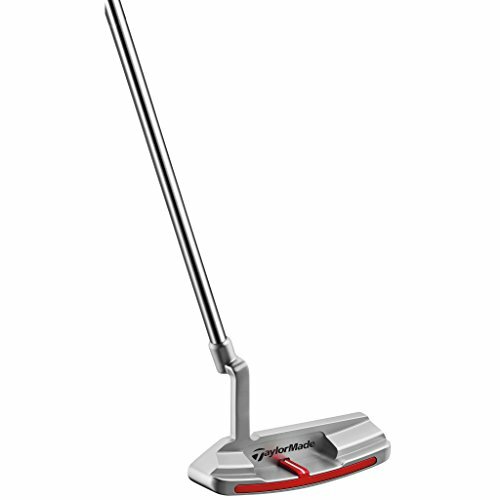 We also felt that this putter was the pick of the bunch in terms of alignment, whereas the Chaska and the Ardmore 3 didn’t seem to line up quite as easily. Small margins, sure. But putting is hard enough… you need all these small factors to work in your favor. We also played around with the interchangeable weights. I must say, we didn’t notice a mammoth amount of difference. But, for someone who is well in tune with their stroke, this feature surely doesn’t hurt. 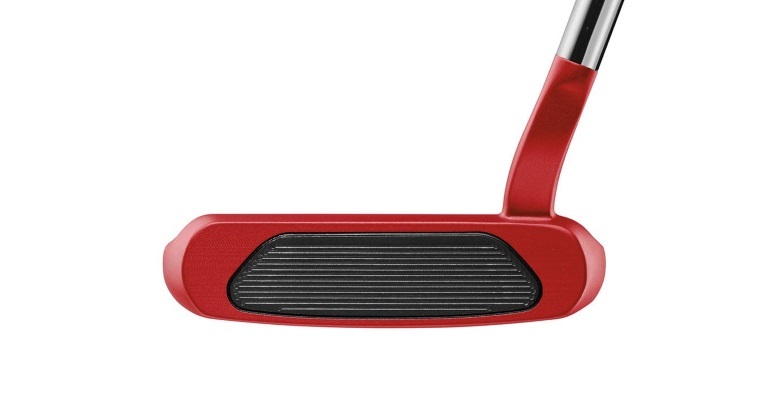 Each of the six putters adopt the classic Tour Red finish, which makes for a high colour contrast with the black faces and white sightlines. At an individual level, the Ardmore is a face-balanced mallet, with two sightlines either side of the sweetspot, and a full shaft offset. The Ardmopre CTR is similar, except for its centre shaft. 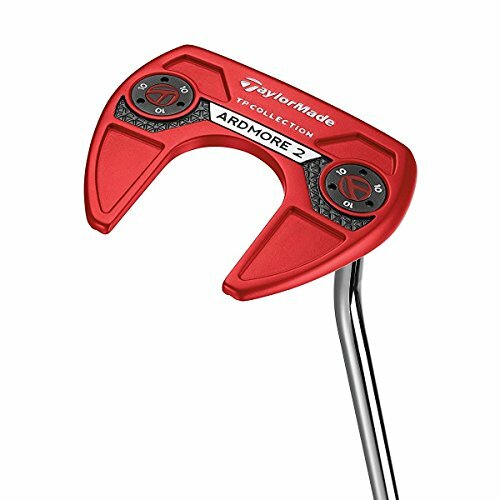 The Ardmore 2 “L” Neck putter sports a progressive mallet design with single top, double-cavity sightlines, full shaft offset, and a toe hang of 27°. The Ardmore 2 Double Bend is almost identical, bar the fact that it is a face-balanced mallet. The Ardmore 3 is also similar in shape, but sports 40° of toe hang and a solitary sightline. Finally, the Chaska is a larger, semi-rounded mallet, with a circular cavity behind three sightlines. 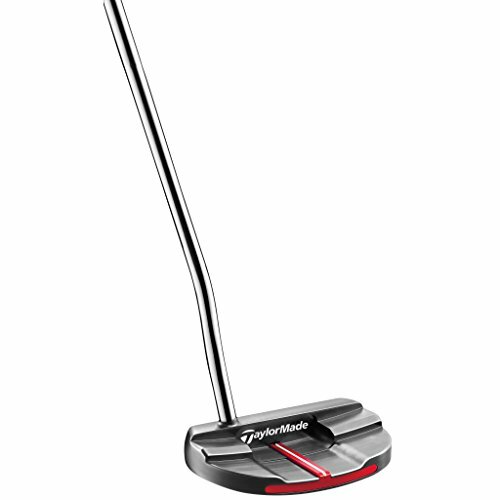 For us, the Ardmore 2 “L” Neck putter has the sleekest look – not just at address, but in the bag too. 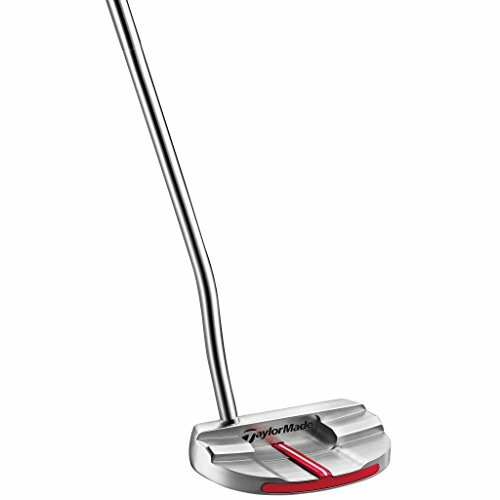 But, for those who favor center-shaft putters, the CTR is one of the better-looking designs in the business. The Chaska looks a tad cumbersome, and, along with the Ardmore 2 Double Bend, had a bit too much offset for our liking. All putters in the collection are priced the same, but that isn’t the only thing they have in common. Another common denominator are the levels of excellence they bring to the table, along with some unique benefits across the different versions. High-end technology and classic milling underpin the cutting-edge designs, while the adjustable sole weights allow you to zero in on the optimal head weights. The roll is exceptional, while a variety of sightlines, toe hangs and hosels ensures your stroke will be catered for. So, while these putters are on the expensive side of average, the value you get in return is a putter that can be specifically tailored to your needs. For many, that will be a price worth paying. 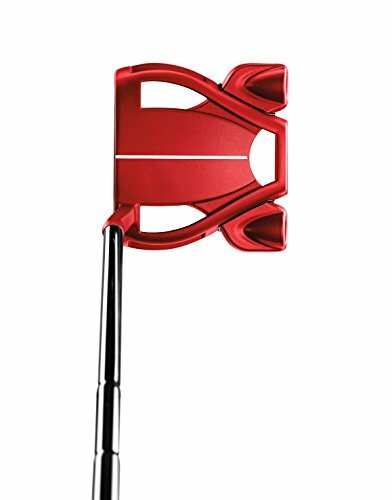 TaylorMade N1537626 Big Red Daytona Super Stroke Putter, Right Hand, 34"
TaylorMade N1530133 Big Red OSCB Daytona Putter, Right Hand, 34.5"
TaylorMade N1538327 Big Red Monte Carlo Super Stroke Putter, Right Hand, 35"
TaylorMade N1530328 Big Red OSCB Monte Carlo Putter, Right Hand, 36"